In this speech, Jagadguru Shree Kripaluji Maharaj explains the importance of engaging the mind in devotion. 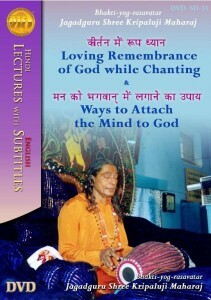 The attachment of mind determines the value of the action not the physical actions itself. 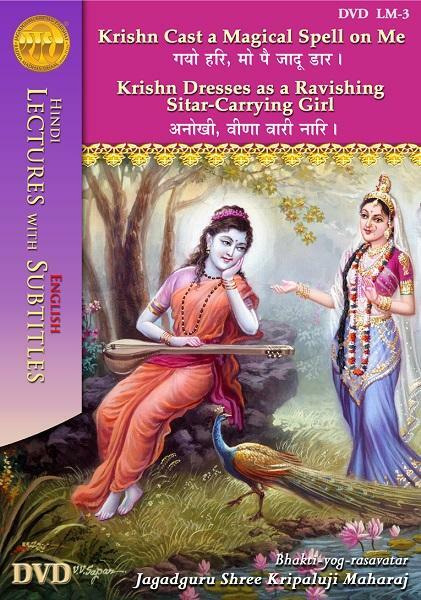 Thus, the time spend remembering Krishn counts as bhakti. 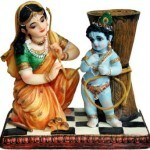 Experience the meditation on the form of Krishn (roop dhyan) to do devotion…. Chantings that were sung by Jagadguru Shree Kripaluji Maharaj in the Holy Places of Braj…. 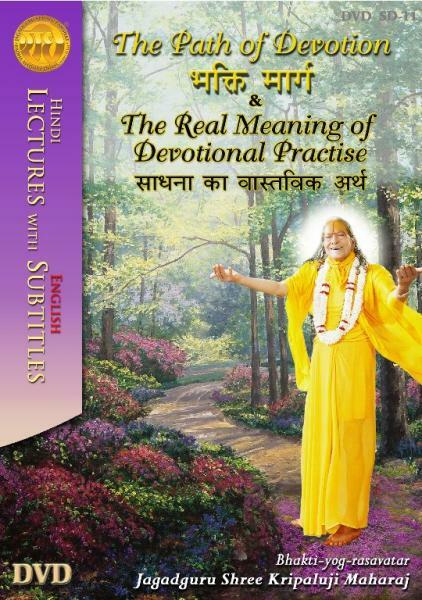 Jagadguru Shree Kripaluji Maharaj clearly defines, who a God realized Saint and Guru are, along with the different groups of Guru. 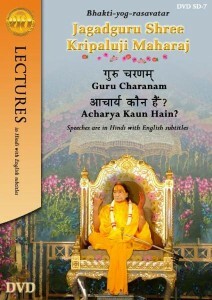 The caution regarding the danger of going indiscriminately to all kinds of Gurus. 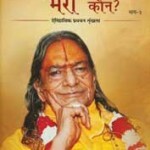 Maharaj Ji instructs to respect other Gurus, but exclusively listen to your Guru. 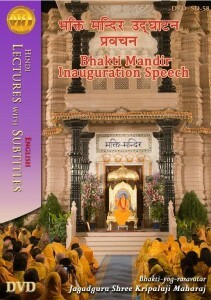 The secret of service to a genuine Saint is revealed in this speech…. 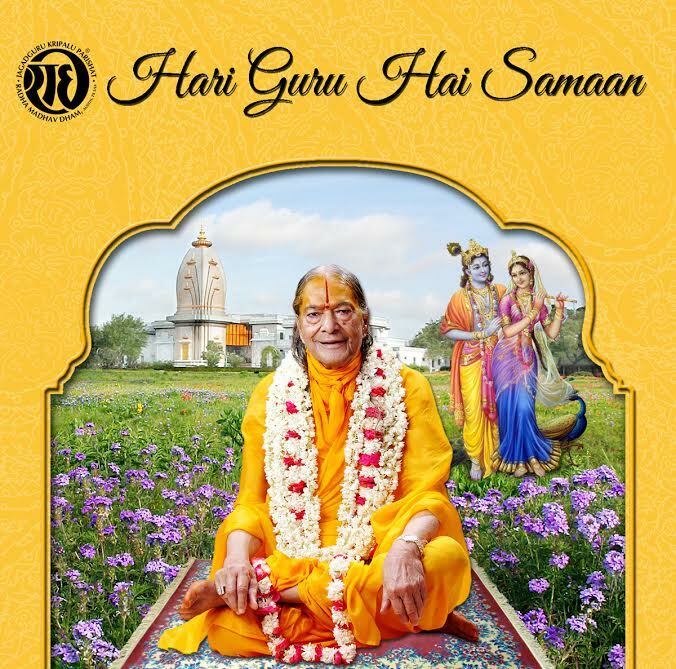 Jagadguru Shree Kripaluji Maharaj describes the three sections as explained in the Vedas: Karm (good actions), Gyan (knowledge) and Upasana (devotion). 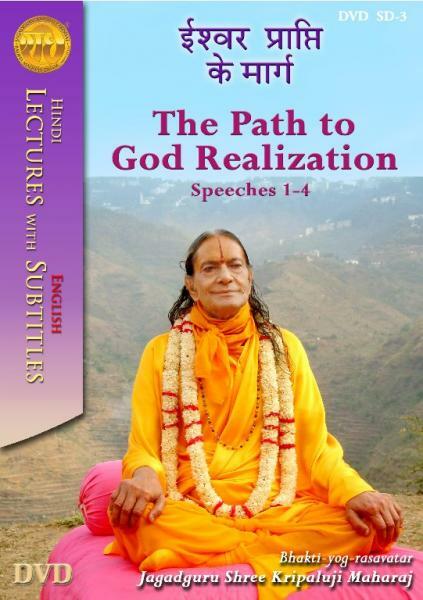 Bhakt Saints say, the soul’s true goal is freedom from maya and the attainment of God. 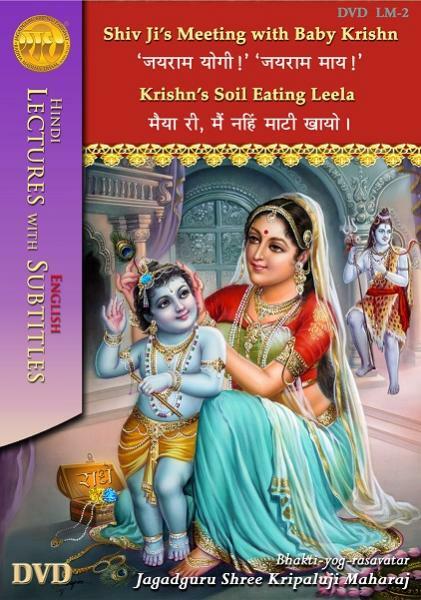 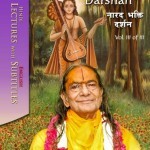 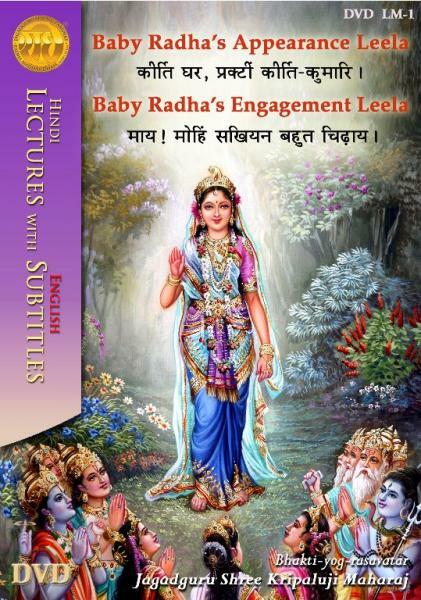 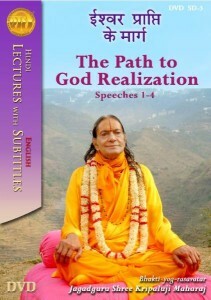 Thus, this speech helps a devotee understand the one and only path that unites the soul with God…..
Jagadguru Shree Kripaluji Maharaj explains why every soul desires only God, what is the path to God (bhakti), and how to practice devotion while living in the world so that you can attain Radha Krishn in this life. This inspiring speech was given at the historic opening of Bhakti Mandir in Mangarh in 2005, which tells that you must use your human life for the attainment of God’s Divine Bliss before it is too late…. 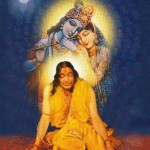 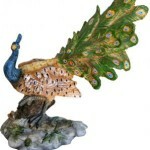 The result of good karma is only the attainment of celestial abodes, not God.